Self-cleaning cooking surface. Clean-up is quick and easy. Close the hood, and turn your grill to high for 10-15 minutes. Food drippings and debris are incinerated. Once cool, simply wipe down the glass with a wet paper towel, and you’re done. Stainless steel cooking grates sit directly on top of the radiant glass panels, preventing air flow that ignites food drippings and causes fare-ups. 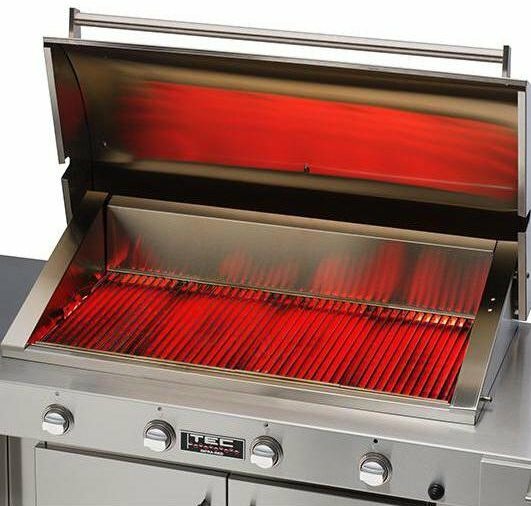 And our burners distribute heat evenly across the cooking grates, eliminating those aggravating hot spots and providing a uniform cooking surface for grilling. Buy your last grill now. One of the main objectives for CEO Bill Best in designing our grills is to offer a low maintenance, long-lasting product. 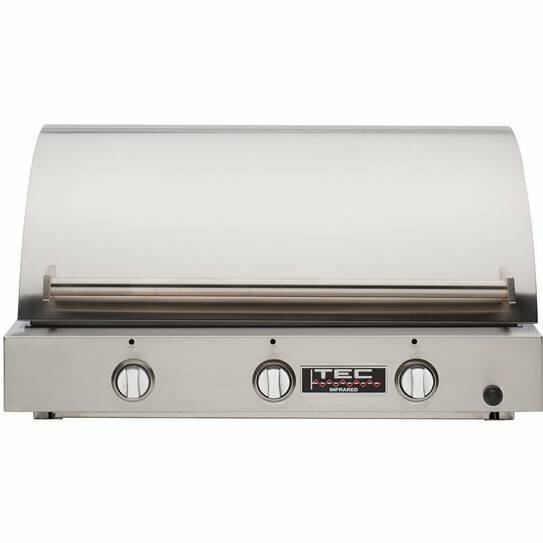 TEC’s frst customers are still cooking on the very first grills that we manufactured almost 40 years ago. That’s because we engineer and build grills to last a lifetime. 35% more moisture retention than food cooked on a standard gas grill Radiant glass panels block hot air from rising from the burners to the grates – this hot air is the culprit that dries out food. So food on a TEC grill retains up to 35% more of its own natural juices. Drippings are incinerated on the heated glass, creating a rich, smoky vapor that infuses favor and moisture into food. 200°-900°F + TEC’s new accessories gives you the versatility to do it all With such an enormous temperature range, a TEC can function as a high-temperature searing machine, a glass cooktop and power burner, and when combined with our accessories, a fat-top Hibachi and griddle, a roaster, a smoker, a steamer, a fryer, and a pizza oven!